The Aggressive Option invests in two Vanguard stock index funds, two Schwab stock index funds, one iShares stock index fund, three Vanguard bond index funds and one BlackRock bond index fund. Through its investment in these Underlying Investments, the Aggressive Option allocates approximately 90% of its assets to stocks and 10% of its assets to investment-grade bonds. The Aggressive Option seeks to provide long-term capital appreciation with very low income potential. The Aggressive Option has a number of investment related risks. For a list and descriptions of the risks associated with the Vanguard funds, BlackRock funds and Schwab funds, see Explanations of Investment Risk Factors in the Plan Disclosure Statement. The Moderately Aggressive Option invests in two Vanguard stock index funds, two Schwab stock index funds, one iShares stock index fund, three Vanguard bond index funds and one BlackRock bond index fund. Through its investment in these Underlying Investments, the Moderately Aggressive Option allocates approximately 75% of its assets to stocks and 25% of its assets to investment-grade bonds. The Moderately Aggressive Option seeks to provide long-term capital appreciation with low income potential. The Moderately Aggressive Option has a number of investment related risks. For a list and descriptions of the risks associated with the Vanguard funds, BlackRock funds and Schwab funds, see Explanations of Investment Risk Factors in the Plan Disclosure Statement. The Growth Option invests in two Vanguard stock index funds, two Schwab stock index funds, one iShares stock index fund, three Vanguard bond index funds and one BlackRock bond index fund. Through its investment in these Underlying Investments, the Growth Option allocates approximately 60% of its assets to stocks and 40% of its assets to investment-grade bonds. The Growth Option seeks to provide capital appreciation and low current income. The Growth Option has a number of investment related risks. For a list and descriptions of the risks associated with the Vanguard funds, BlackRock funds and Schwab funds, see Explanations of Investment Risk Factors in the Plan Disclosure Statement. The Moderate Option invests in two Vanguard stock index funds, two Schwab stock index funds, one iShares stock index fund, three Vanguard bond index funds and one BlackRock bond index fund. Through its investment in these Underlying Investments, the Moderate Option allocates approximately 45% of its assets to stocks and 55% of its assets to investment-grade bonds. The Moderate Option primarily seeks to provide capital appreciation and secondarily provide moderate current income. The Moderate Option has a number of investment related risks. For a list and descriptions of the risks associated with the Vanguard funds, BlackRock funds and Schwab funds, see Explanations of Investment Risk Factors in the Plan Disclosure Statement. The Moderately Conservative Option invests in two Vanguard stock index funds, two Schwab stock index funds, one iShares stock index fund, three Vanguard bond index funds, one iShares bond index fund and a Sallie Mae High Yield Savings Account. Through its investment in these Underlying Investments, the Moderately Conservative Option allocates approximately 30% of its assets to stocks, 45% of its assets to investment-grade bonds and 25% to cash. The Moderately Conservative Option seeks to provide moderate current income and low capital appreciation and moderate capital preservation. The Moderately Conservative Option has a number of investment related risks. For a list and descriptions of the risks associated with the Vanguard funds, BlackRock funds and Schwab funds, see Explanations of Investment Risk Factors and Sallie Mae High Yield Savings Account – Investment Risks in the Plan Disclosure Statement. The Conservative Option invests in two Vanguard stock index funds, two Schwab stock index funds, one iShares stock index fund, three Vanguard bond index funds, one iShares bond index fund and a Sallie Mae High Yield Savings Account. Through its investment in these Underlying Investments, the Conservative Option allocates approximately 10% of its assets to stocks, 30% of its assets to investment-grade bonds and 60% to cash. The Conservative Option seeks to provide substantial capital preservation, limited current income and very low capital appreciation. The Conservative Option has a number of investment related risks. For a list and descriptions of the risks associated with the Vanguard funds, BlackRock funds and Schwab funds, see Explanations of Investment Risk Factors and Sallie Mae High Yield Savings Account – Investment Risks in the Plan Disclosure Statement. 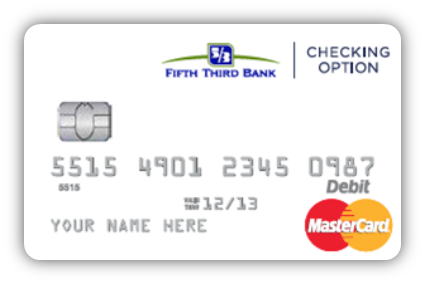 The Checking Option invests all of its assets in a checking account held at Fifth Third Bank. Account Owners who invest in the Checking Option may write checks or use a debit card to pay for Qualified Disability Expenses. Account Owners should retain documentation (for example, receipts) of all distributions for Qualified Disability Expenses for their records. Investments in the Checking Option will earn varying rates of interest. Contributions will not earn interest until the hold period expires and the funds are deposited to the account at Fifth Third Bank. The interest rate generally will be equivalent to short-term deposit rates. Interest will be compounded daily based on the actual number of days in a year and will be credited to the Checking Option on a monthly basis. The interest on the Checking Option is expressed as an Annual Percentage Yield, or APY. The APY on the Checking Option will be reviewed by Fifth Third Bank on a periodic basis and may be recalculated as needed at any time. To see the current Checking Option Annual Percentage Yield, please go to www.53.com or call toll-free 888-516-2375. The Checking Option seeks to provide preservation of principal. The Checking Option is primarily subject to the risk that the return on the underlying checking account will vary because of changing interest rates and that the return on the checking account may decline because of falling interest rates. See Appendix B – Fifth Bank Third Terms and Conditions in the Plan Disclosure Statement for additional terms and conditions applicable to the Checking Option. Funds in the Checking Option will be covered by FDIC insurance, subject to applicable limits and the application of Fifth Third Bank’s and the FDIC’s rules and regulation to each Account Owner. Please visit www.fdic.gov for more information about FDIC insurance coverage. FDIC insurance is the sole insurance available for the Checking Option. The Checking Option does not provide a guarantee of any level of performance or return or offer any additional guarantees. Neither the contributions into the Checking Option, nor any investment return earned on the contributions is guaranteed by the Plan Administrators, or any other federal or state entity or person.